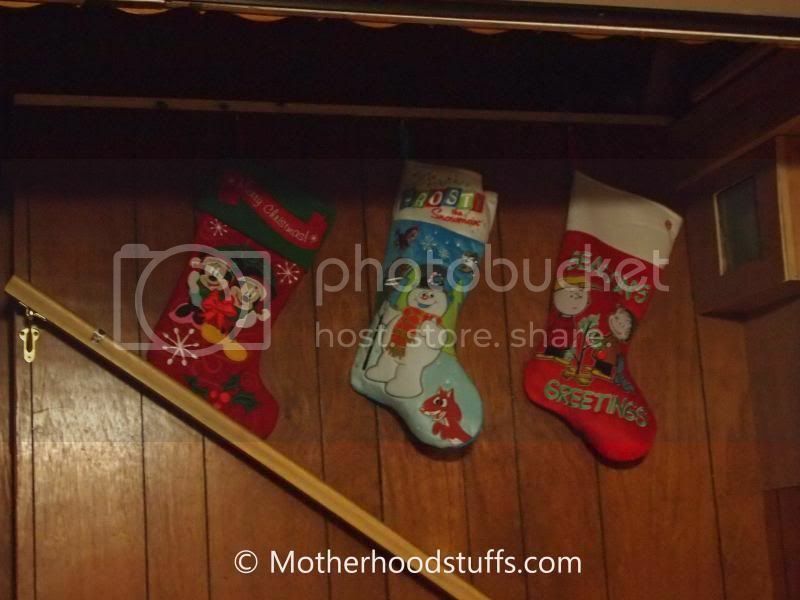 Motherhood Stuffs: Where to put up the Stockings? Where to put up the Stockings? Moving to a new house also considers you to move and think a new and better place of the decorations you will hang during holidays. Since I need to find a sturdy place to hang up the stockings, it took me awhile to find this spot here. It should be right by the Christmas tree, yet there is no decent place to hang them. There is an empty space by the stairs, so hubby suggested putting them by the stairs and it turns out to be a perfect place for the Christmas stocking. Sometimes, hubby’s opinion is great to consider which I did and I wasn’t frustrated with the new setup. I think stockings by the stairs looks like a nice idea for a location. I like your stocking designs and yeah, stairs is a great idea.